While some would argue that the US has already done more than enough in the South China Sea, US Senator John McCain has argued that the Pentagon must do more. 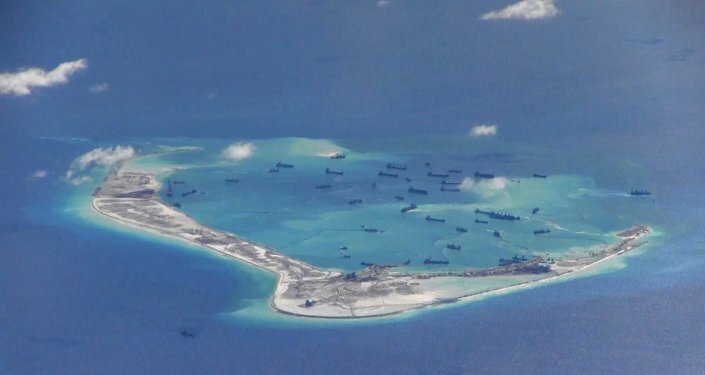 In protest of Beijing’s construction of artificial islands in the Spratly archipelago, the Pentagon launched a series of provocative freedom-of-navigation exercises, sailing within the country’s 12-mile territorial limit. These actions, as well as multiple joint-military exercises with allies in the region, have anger from China, which has repeatedly called for the US and its allies to relax their aggressive stance. Rather than back down, Arizona Senator John McCain is urging that the US do more. "We have sort of made it a signal event when we sailed a destroyer within the 12-mile limit," McCain told Breaking Defense, "and at one point the Department of Defense wouldn’t even acknowledge we had done that. "We should make it clear that these are international waters and filling in islands is in violation of international law. I would like to see both air and ship transiting the areas around these islands as just a normal routine." Hopefully, saner heads will prevail, as Pentagon operations in the region have pushed Beijing to establish an air defense identification zone around their territory. "It is known only too well, that American, Japanese, and South Korean jets continuously annoy China by flying into airspace very close to its borders. It means that an argument on the ground is currently growing into an argument in the air, and it escalates the situation even further," military expert Viktor Baranets told Sputnik. Regional politicians stress that a peaceful solution must be pursued to bring an end to the tensions in the South China Sea. "We have always been insisting that all parties should resolve this peacefully, based on international laws and various other international norms," India’s Defense Minister Manohar Parrikar said, ahead of a meeting with his Singapore counterpart, Dr. Ng Eng Hen, on Friday. "We feel it should be resolved by sitting across the table." A highly contested region through which nearly $5 trillion trade passes annually, most of the South China Sea is claimed by China, though there are overlapping claims by the Philippines, Brunei, Taiwan, Malaysia, and Vietnam. The US has no territorial claims in the region. McCain also called for expediting the ratification of the controversial Trans-Pacific Partnership deregulated-trade deal, as failure to do so could be, in his opinion, catastrophic. "I have talked to many leaders in the region who have said unequivocally that this could be a devastating blow to the Unites States’ economic and other interests," he said. "That warning has to be made clear to members of Congress."